Oakland Athletics pitcher Sean Manaea will undergo arthroscopic surgery on his left shoulder Sept. 19, the team announced Tuesday. Manager Bob Melvin announced Manaea is expected to miss all of the 2019 season while he recovers, per Jane Lee of MLB.com. The A's southpaw has not pitched since Aug. 24, when he improved his record to 12-9 by holding the Minnesota Twins to just one unearned run on five hits in five innings. He left the game having thrown just 67 pitches. He was placed on the disabled list two days later due to shoulder impingement. Manaea was in the midst of his best season to date. The third-year pitcher tied or set career highs in wins (12), innings (160.2), earned run average (3.59), WHIP (1.08), complete games (one) and shutouts (one). His first career shutout just happened to be a no-hitter back on April 21 against the Boston Red Sox, a team that has run away with the best record in the majors. He struck out 10 while walking only two in that historic outing. That was the first of three no-hitters thrown around Major League Baseball to date. It earned him American League Player of the Week honors. It also helped him set an A's franchise record with 14 consecutive hitless innings. Without Manaea the past few weeks, Oakland has been able to stay in the playoff hunt. 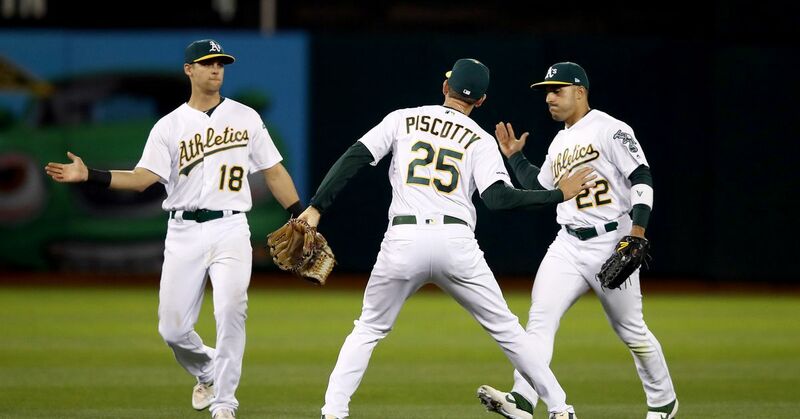 The Athletics are just three games back of the reigning champion Houston Astros in the AL West and hold a 7.5-game lead in the AL wild-card race.